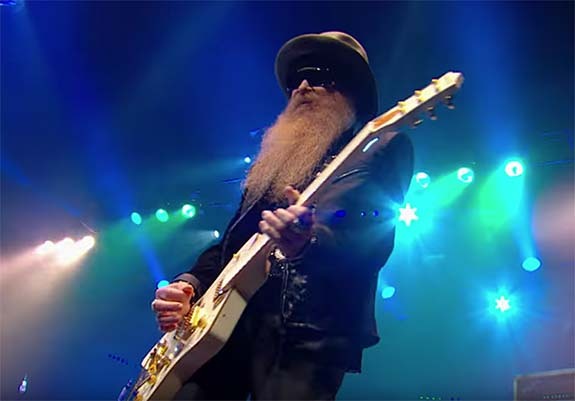 Written by Gibbons, Beard and Joe Michael Hill, “Sharp Dressed Man” appeared as the third track on ZZ Top’s extraordinarily popular 1983 album Eliminator. The album sold more than 10 million copies, earning it a rare Diamond certification. The single topped out at #56 on the U.S. Billboard 100 and remains one of ZZ Tops’ most enduring signature songs. In fact, the group performed it live at the 1997 VH1 Fashion Awards and during the halftime festivities of the 2008 Orange Bowl. A little over two weeks ago, Esther Daniel found a diamond engagement ring and matching wedding band on the pavement of a Walmart parking lot. She immediately alerted the store’s management and posted a lost-and-found notice on the “Raleigh Moms” Facebook group. When nobody came forward to claim the rings, Daniel turned to her local ABC affiliate for help. ABC11’s Eyewitness News ran the story and posted notices on its own Facebook and Twitter pages. That high-profile exposure worked to perfection, as Raleigh elementary school teacher Shnita Horton came forward as the owner. 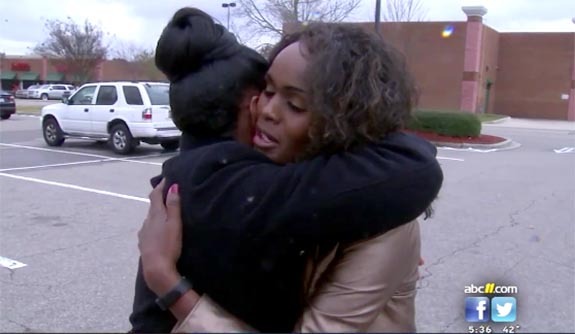 The Raleigh mom’s exceptional efforts were noticed by the management of the local Walmart. 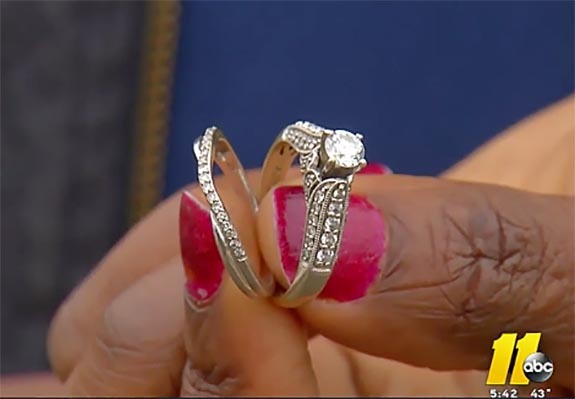 “I was actually emotional, too, when I first heard this story and that she was able to get the ring back to the right person,” assistant manager Salif Saidy told Eyewitness News. 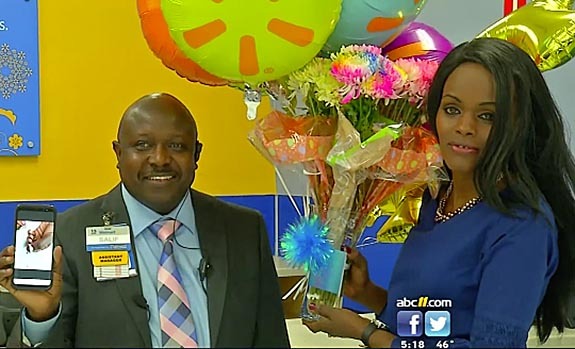 “We just wanted to thank you for your honesty and for the good deed, and on behalf of Walmart I would like to present you with a $500 gift card,” Saidy said. Daniel said she was moved by Walmart’s gesture. “It was humbling because I was just doing what needed to be done, and what I would like someone to do for me,” she said. For Daniel, the experience affirmed a maxim that’s very close to her heart. “Never stop fighting for the right thing,” Daniel said. Socialite Paris Hilton lost her 20-carat diamond engagement ring while dancing at a trendy Miami club Friday night. Hilton had been seen reveling with her hands in the air when the $2 million ring “flew off” her finger. Zylka had proposed to Hilton in scenic Aspen, Colo., during the New Year’s holiday weekend. 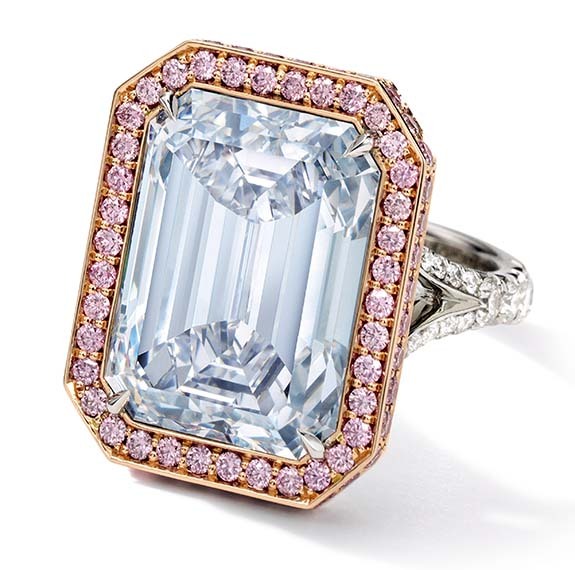 Celebrity jeweler Michael Greene told People magazine that the actor had remembered that Hilton mentioned on a number of occasions how much she loved her mother’s pear-shaped diamond. In addition to possessing all those attributes, Zylka apparently has excellent eyesight and is very talented when it comes to figuring out the trajectory of an airborne diamond engagement ring. How many people would have thought to look in an ice bucket “a couple of tables over” or even be able to discern a diamond-and-platinum ring among the ice cubes in a dark club? And here’s a quick tip for Ms. Hilton: It’s time to get your ring resized. 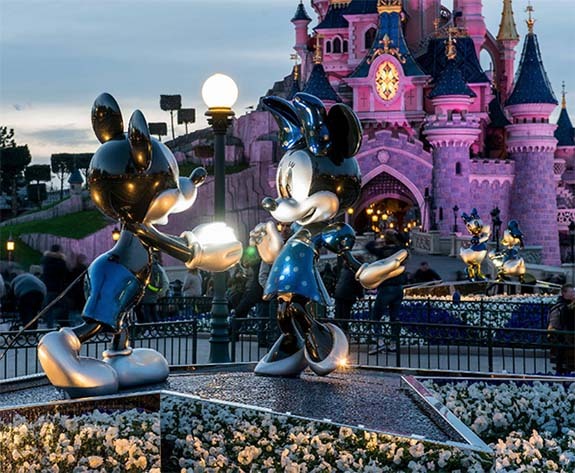 Located just a short skip from The City of Love, Disneyland Paris has been named the world’s most popular place to pop the question. Wedding-planning website Hitched.co.uk reports that one in 500 proposals worldwide takes place at the Paris venue — and we’re certain that many suitors staged their bended-knee photo op squarely in front of the picturesque Sleeping Beauty Castle. The results seem to confirm that a Disney Park is not only “the happiest place on Earth,” but also the most romantic. Disney dominates the “Most Popular Places to Propose” list, placing three properties in the Top 10. Disneyland Paris offers a six-page brochure that promotes a “wedding proposal service” that promises to make your special moment “a magical affair” in the most fabulous of settings. The park can provide a dedicated representative to manage all the details of the proposal, including the perfect location, photographer and flowers. The representative also can schedule a romantic dinner with personalized table decorations, and reserve an enchanting room sprinkled with rose petals. Even though it had remained in the same family for more than 300 years, “The Farnese Blue” was never seen in public. In fact, except for close relatives and the family jewelers, no one knew of its existence. 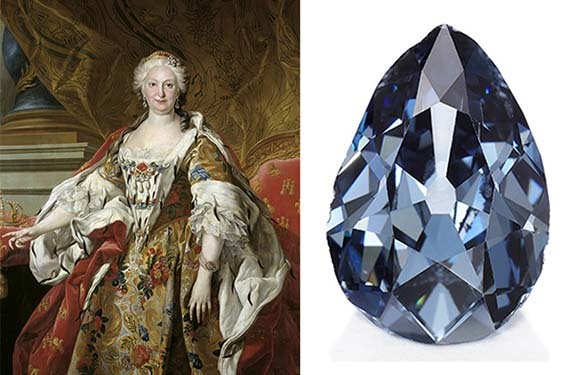 Secreted away in a “royal casket,” the pear-shaped, fancy dark grey-blue diamond traveled across Europe, as Elisabeth and Philip’s descendants married into Europe’s most important dynasties. The “casket” likely refers to a rectangular jewelry box that is shaped like a casket, not a coffin. 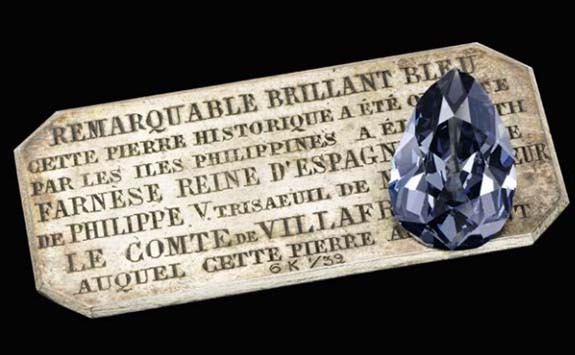 The gift from the governor of the Philippine Islands was given to the Queen at the urging of the Spanish government. Governors of Spain’s colonies from Mexico to the East Indies were encouraged to send wedding presents to Madrid. “The Farnese Blue” will embark on an international tour before returning to Geneva for the May 15 Magnificent Jewels and Noble Jewels sale. The diamond will make appearances in Hong Kong (March 29 – April 2), London (April 7-10), New York (April 13-17), Singapore (April 27-28), Taipei (May 1-2) and Geneva (May 12-14). Her new boyfriend is British actor and model Joe Alwyn, and Swift has been spotted wearing a script initial “J” engraved on silver charm pendant. “Call It What You Want” is the penultimate song on an album that takes the listener of an emotional journey from rebellion and anger to true love. The single topped out at #27 on the U.S. Billboard Hot 100 chart and #24 on the Canadian Hot 100 chart. Interestingly, the titanium and gold photoreceptor replacements need no outside power source to function. They simply remain in physical contact with retinal cells and pass the animal’s natural electrical impulses to the visual cortex. 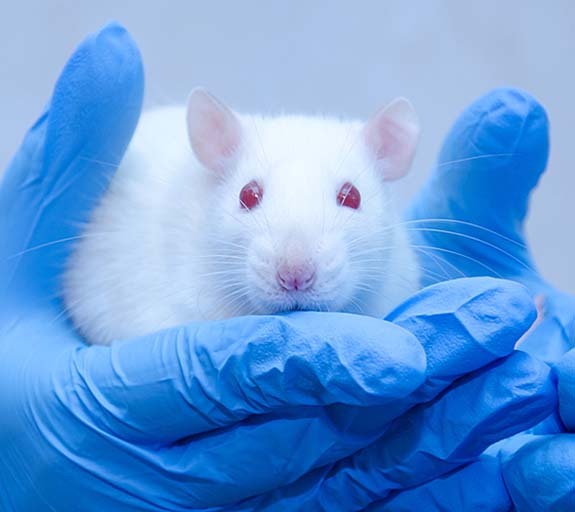 The photoreceptors remained implanted in the mice for eight weeks, during which the animals showed no ill side effects or discomfort. The team’s findings were published in the journal Nature Communications. A tiny diamond found at South Africa’s Cullinan mine is credited with preserving and ferrying an unstable, never-before-seen deep-Earth mineral 400 miles to the surface. 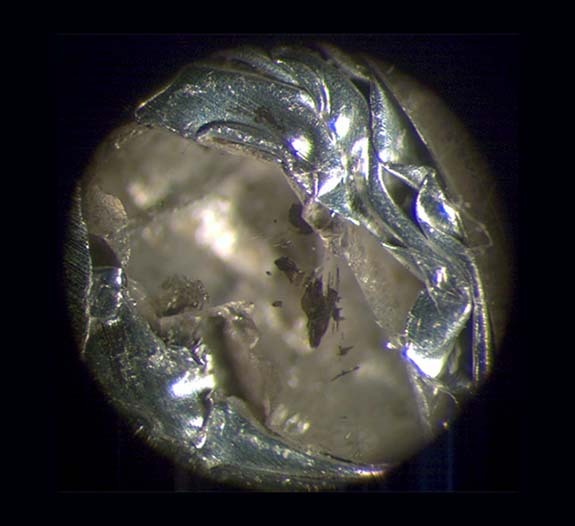 Scientists at the University of Alberta’s Department of Earth and Atmospheric Sciences discovered a minuscule sample of the elusive mineral “calcium silicate perovskite” trapped within the rough diamond that measured only .031 millimeters in diameter. It was polished to give researchers a clearer view of the inclusion trapped inside. Calcium silicate perovskite is believed to be the fourth-most-abundant mineral on Earth and makes up as much as 93% of Earth’s lower mantle. Despite being so plentiful, scientists could only hypothesize its existence. Nobody could actually see it because the mineral’s crystal lattice deforms as it moves toward the surface. “Diamonds are really unique ways of seeing what’s in the Earth,” Pearson said. 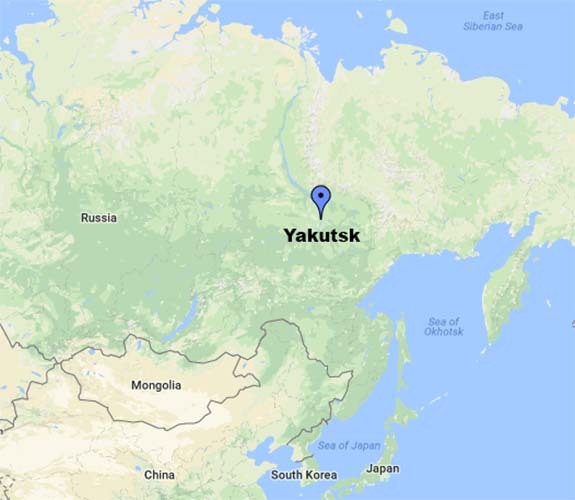 The mineral’s composition was confirmed by X-ray and spectroscopic analysis. Future research will focus on the age and origin of the material. 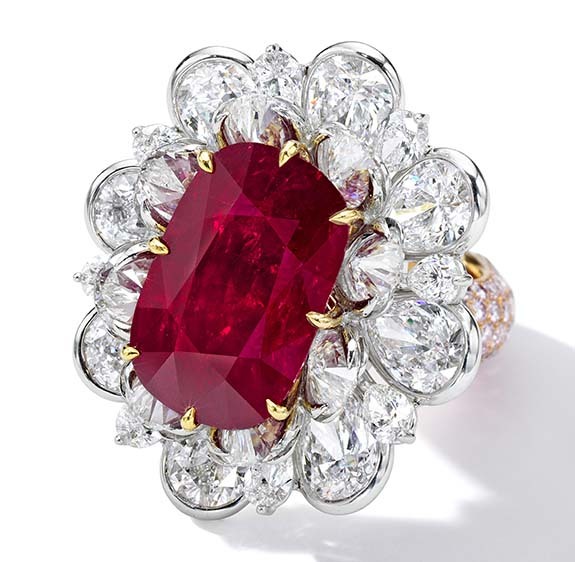 A spectacular 24.70-carat cushion-shaped ruby ring will share top billing with “The Circle of Heaven” jadeite bracelet at Sotheby’s Hong Kong on April 3. 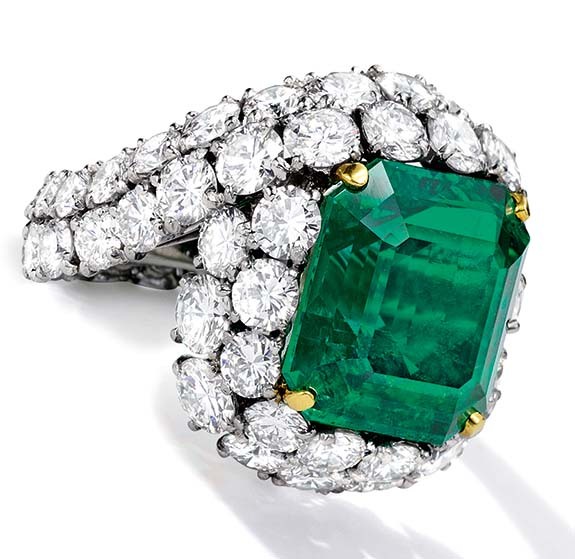 Both items are expected to fetch more than $10 million when they hit the auction block at the Magnificent Jewels and Jadeite Spring Sale. Rubies found in the Mogok region of Myanmar (formerly Burma) are famed for their top-grade pigeon-blood color. The Burmese ruby coming up for bid at Sotheby’s Hong Kong will be of particular interest to buyers because Mogok-sourced specimens in excess of 20 carats are said to be among the rarest gems in the world. 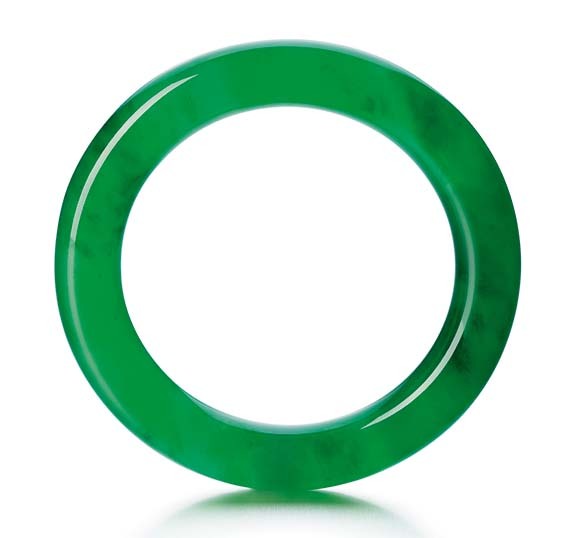 Co-starring in Hall 5 of the Hong Kong Convention and Exhibition Centre on April 3 will be a superb jadeite bracelet known as “The Circle of Heaven.” Displaying a brilliant emerald green color, fine texture and high translucency, the bracelet boasts a pre-sale estimate of $10.2 million to $12.8 million. • A Sapphire and Diamond Ring. 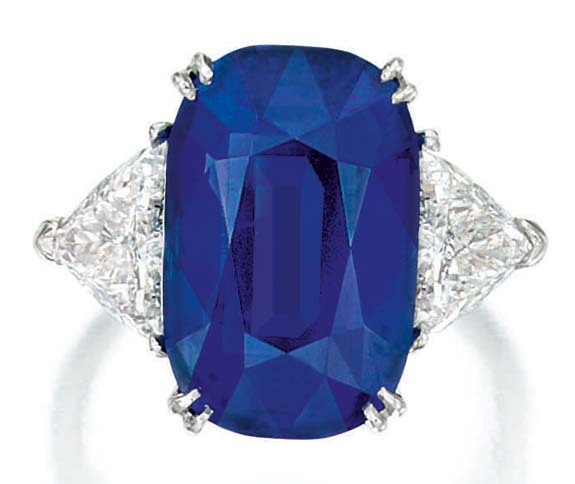 An impressive 10.18-carat Kashmir sapphire is the centerpiece of this ring by Cartier. Displaying a velvety blue color, the sapphire is accented by a pair of triangular diamonds. Sotheby’s set the pre-auction estimate at $1.2 million to $1.7 million. • An Important Emerald and Diamond Ring. Sporting a rich, natural saturation, this step-cut 14.72-carat Colombian emerald is set in a ring by Cartier. The ring’s pre-sale estimate is $1.1 million to $1.4 million. 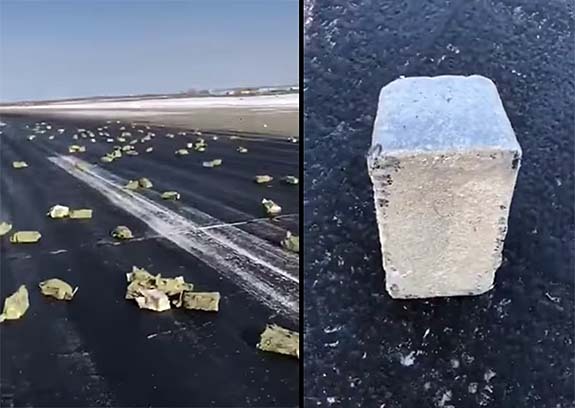 Russia’s state-run TASS news agency reported that technicians who had prepared the plane for takeoff may have failed to properly secure the cargo.